HomeStoriesPress releasesEagle Couriers’ Director to be recognised as industry leader in House of Lords ceremony. 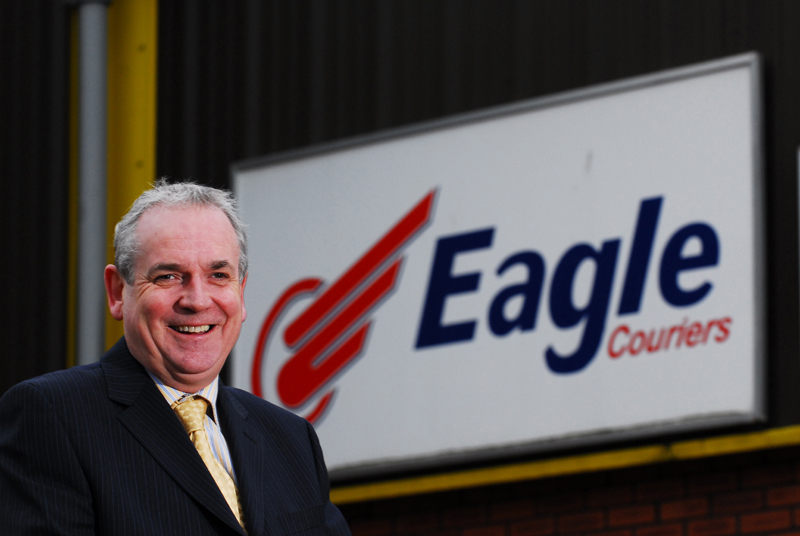 Eagle Couriers’ Director to be recognised as industry leader in House of Lords ceremony. Jerry Stewart of Eagle Couriers is set to become the first Fellow to represent an independent Scotland-based firm in the Institute of Couriers (IoC). The Director of Scotland’s largest independent courier firm will be elected to Fellow (FIoC) into the IoC at a prestigious gowning ceremony at the House of Lords in February and will then become a key policy influencer, taking a leading role on all policies affecting Scotland. Jerry, who has worked for the West Lothian based courier for 26 years and was involved in establishing the firm, was nominated and approved as a Fellow due to his passion for the industry. Tracy Worth, Secretary at the Institute of Couriers said: “Being asked to become a Fellow at the Institute of Couriers marks Jerry out as a leader within the industry. Jerry’s election to fellow IoC follows an incredibly stringent approval process. It started when he was nominated by current Fellow Kevin Grey FFIoC and this potential induction was then scrutinised by an entrance board consisting of the founding fellows of the IoC. Following the panel endorsement, the final approval was then gained from the president of the IoC, Viscount Falkland, who works prolifically on Transport issues and is advised by two former Ministers of Transport – Steven Norris (Conservative) and David Jamieson (Labour). Jerry said: “I am understandably delighted to be recognised within the industry and excited to become a fellow at the Institute of Couriers. “This is a chance for me to provide a voice for Scotland – and ensure that we are shaping policy around what is best for our industry – and the Scottish economy. The gowning will take place on February 6th 2015 in the House of Lords, and will see Jerry Stewart recognised as a Fellow. Jerry will then have regular correspondence with the institute to assist it in its’ aim of establishing a national recognition of standards for those who work in the industry and to promote professional safe practice. 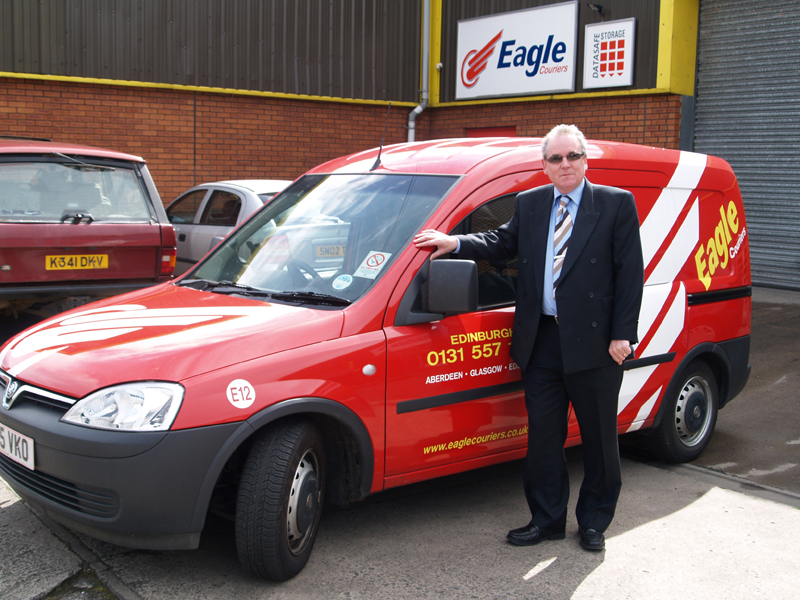 Eagle Couriers has been operating for 30 years and its’ diverse work includes making emergency deliveries for the NHS and the Scottish Blood Transfusion Service. The firm has bases in Edinburgh, Glasgow and its HQ in Bathgate, West Lothian. It has a 3500-strong client base including the BBC and the NHS public sector organisations and sole traders. As business-to-business experts, Eagle Couriers help other firms operate more efficiently and profitably by safely delivering on time everything from documents, medical samples and engine parts to sports footage, scripts and TV props.